Want to cuddle with Lexxi? I carry medicinal touch/love. Why? My life was transformed by consistently reaching a quota of touch-based loving care. But not just any kind! The truly healthy, attentive, intentional, platonic kind. Others needed that, too, and so here I am with honed skills, deeply dedicated to dosing the loving touch generously. And quite thankful for the opportunity. You can explore ways to cultivate and deepen healthy relationships that work for you; You will find your confidence in delivering loving but firm “No”s– so that you have space for more of your “Yes”es. You will have a supportive partner in all of it, one who is reliably mindful, encouraging, engaging, and sincere. 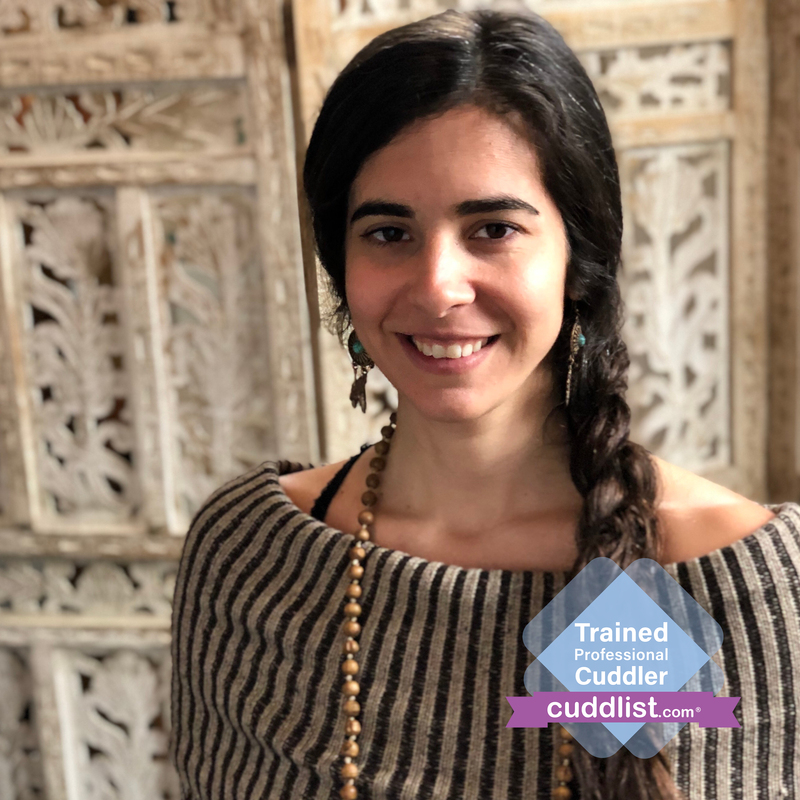 Need to: be comforted, explore each other’s faces, cry, talk, practice boundaries or asking for what you want, receive soft touch, address touch trauma, learn new communication skills, make a wordless vocal symphony, read a book while spooning? A combo? Not sure what you want? Rest assured that I’m here for you. I have the presence, compassion, and the years of relevant, varied, professional experience necessary to easefully and enjoyably co-create sessions that are maximally satisfying and nourishing for you (check out the “skills” section and feel free to reach out for a bio). THE BOOKING: Once you submit a request, I will send over an e-mail with the Code of Conduct and we’ll find a time to hop on a 15 minute video call. During this call, we’ll explore intention, discuss any diagnoses, go over a few logistics, and ensure that we both feel that we’ll be an aligned fit. We’ll find a time that works, and once I receive your 50% downpayment (via Paypal, Venmo, direct deposit, or cash), I will share the address for the cuddle location. THE PREPARATION: On the day, please refrain from wearing strong scents other than essential oils. Dress comfortably in a minimum of a t-shirt and shorts. THE SESSION: When you arrive for your session, I will greet you with a brief herbal cleansing and an offering of a hug with an encouragement to check in – about whether you really want to receive it – before you accept or decline. (And if you decline, you’ll hear a sincere thank you for taking care of yourself.) Then, we’ll orient you to the space, review guidelines/boundaries, and do a short, playful exercise to demonstrate expressions of consent and discomfort. After that, the session is mostly up to you and what feels good for you in the moment. I’ll be there encouraging you to speak both your needs and your wants. No strong colognes or scents other than essential oils or herbs. Subjective Boundaries: the following actions are sometimes okay and sometimes not okay. Depends on many factors at play. Please ask in the moment. Other than that, I am giving you blanket permission to touch. This means there is no need to ask for every point of contact unless that is something you would like to focus on practicing. THE SPACE: The cuddle zone is an energetically and physically clean room with a bed, non-scented candles, filtered water, a speaker that syncs with cellular apps & playlists, organic incenses, & various sound and sensory tools. THE LOCATION: The cuddle zone and sessions are located in New Orleans. Address will be sent upon booking. Street parking. For those of you with allergies, please know that there are no pet companions in this space. At this time, I will only consider outcalls for those with alternate abilities that require accommodations that I cannot provide. THE PAYMENT:Rate is $100/hr. **Special Rate: $100/75 minutes for first appointment**. If you feel a call to receive this service and do not currently have life-force in the form of money, I am open to discussing trade. Half of the session fee is paid at booking as a deposit to reserve a time and the remaining half is due at start of service. I currently accept payment in the forms of: Paypal, Venmo, direct deposit, and cash. THE CANCELLATION POLICY: Life happens and can be unpredictable. And also: let’s be considerate of each other’s time. In general, deposits will be refunded up to 48 hours before service. If you have interest, reach out, and let’s explore it further. Deep thanks for considering this form of self-care – and for any of the ways that you choose to set aside time that is all in service to your needs. You deserve it. It matters. And the ripple effect is tremendous. With, for, and to love! Exercises in Communication & Mindfulness & Breathing & Energetic Clearing. Non-Violent Communication. Active & Reflective Listening. Singer of Soothing Sounds & Songs. Trauma-Informed Training. Sacred Space Holder. Ceremonial Healing Guardian/Guide. Reiki 1 Training. Advanced “Way of the Heart” Integration Training. Energetic Attuner. Relationship Coach & Educator. Intentionality & Integration Specialist. Every Day Ongoing Education. Yoga. Dedicated Mystic.